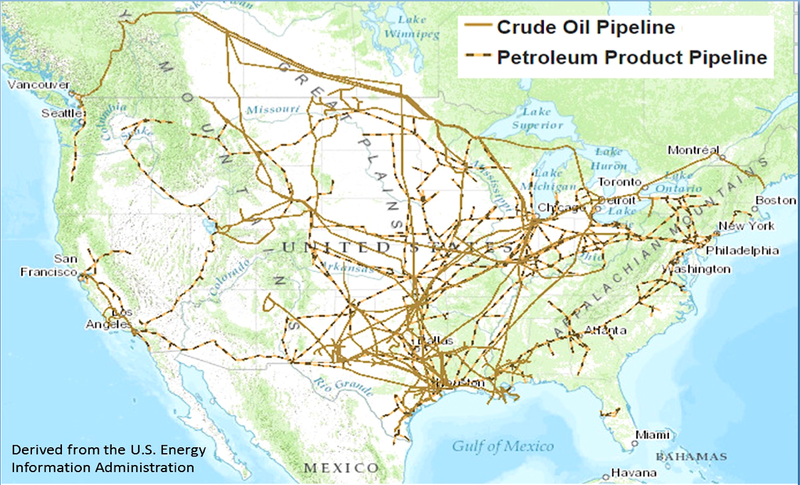 Home Blogs Tom Russo's blog Natural Gas Pipelines face modernization- Are Oil Pipelines Next? Federal regulators at the Federal Energy Regulatory Commisson issued proposed regulations that would help to modernize the interstate natural gas pipelines in the U.S. Rumor has it that the Department of Energy pressured FERC to do so in an effort to reduce natural gas (methane) leaks from aging pipelines. Methane is a green house gas that makes significant contributions to global warming. We applaud FERC for this effort and think that this is a major step to address the resiliency of the natural gas pipeline system. With the California oil pipeline leak fresh in the news, we wonder whether FERC is going to address modernization of intersate oil and refined petroleum pipelines that it regulates. Like interstate natural gas pipelines, the oil and refined petroleum pipelines that FERC regulates are natual monoplies or what industry specialists call Cost of Service providers. FERC regulates the transportation rates or tariffs that interstate pipelines can charge shippers. These rates are based on pipeline company costs in FERC Form 2 and Form 6, respectively for intersate natural gas and oil pipelines. The Obama Administration said that that replacing aging pipelines will cost about $275 billion. That cost will be paid over time by companies that ship gas, oil and refined petroleum products via pipelines. Unfortunately, the recent oil pipeline leak affecting Santa Barbara beaches is not the exception. Recent data released by the the US Department of Transportations shows that pipline leaks are widespread. Often leaks cause explosions and fires and can lead to injuries and deaths. The major causes of the leaks are failure of the pipe, weld or equipment followed by corrosion. Since most pipelines are geographically dispersed, they use Industrial Control Systems (ICS) and subsystems like supervisory control and data acquisition (SCADA), distributed control systems (DCS), and other control system configurations such Programmable Logic Controllers (PLCs) to operate. Because SCADA, DCS and PLCs are used to monitor pipeline flows, leaks, compressor/pump stations and can shut off the flow of natural gas and oil in case of a leak or explosion, we believe that modernization efforts should include the costs for these systems. This is especially important since oil and gas pipelines are expanding, reversing flow and in some instances converting from natural gas to oil, etc.